We have been comprehensively managing corporate welfare facilities such as employee and student dormitories and recreation/training centers since 1980 with our heartwarming life service. As an expert in the food business, we have been catering for facility cafeterias, restaurants, and bento lunches since 1980. We deliver elderly care services and operate various other businesses in the Asian region, with the "Japanese spirit of caring." 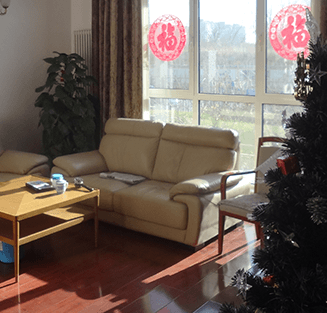 Working under the concept that “love of caring transcends all borders,” we currently provide nursing care facility operation services and elderly care services in China and Thailand. 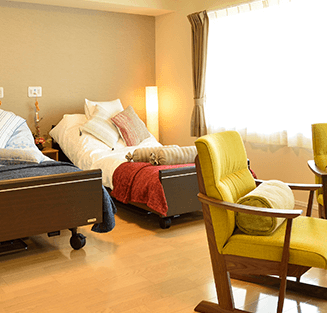 Coming from an advanced nation in the field of elderly care, we hope to introduce our spirit and skills to nurture care specialists from other countries by delivering the high quality of care for which Japan is known, but adapted to suit local customs. To pave the way for the introduction of our elderly care business into the Asian region including China, we have now launched a comprehensive consulting service based on our seasoned experience in Japan and Asia.